Digit Geek > Recent Articles > Technology > Has blockchain gone bad? Ten years to the first bitcoin block, we explore the other side of the Blockchain story – the one where the malicious actors exploit it for nothing good. Blockchain, like every hyped up piece of technology to surface over the past couple of years, has garnered the support of numerous industries across various verticals. Blockchain has been touted to be a revolutionary technology, something that’s destined to overcome the shortcomings of most ledger technologies. It has also seen some really strong criticism. Some of that is genuinely warranted while others lean more towards nitpicking. Let’s take a look at why some proponents are vehemently opposed to blockchain in its current form. The Blockchain is a new technology and that means that there hasn’t been a lot of time spent towards understanding where blockchain falters. 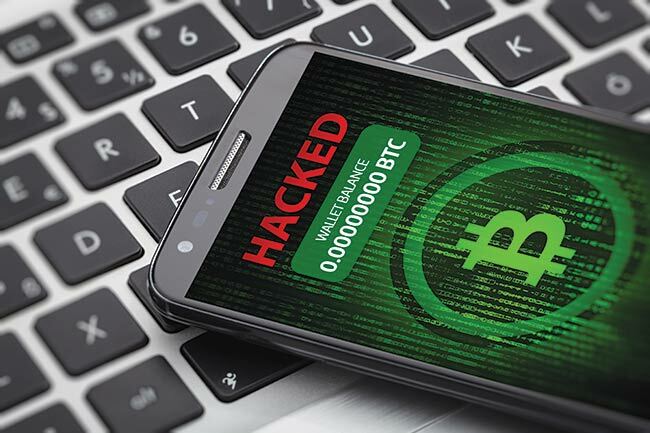 Those with malicious intent or as we refer to them in common parlance – hackers – are still exploring the blockchain technology, trying to poke holes. Just in the last year, we’ve seen more news surfacing of breaches and attacks on blockchain enabled technology. Some of these include methods such as Vector76 attack, Finney attack, Race attack, Alternative history attack and the most popular of them all, Majority attack. Everyone knows about Majority attack because the mechanism is ingrained in the way the blockchain algorithm is written. Referred to as the 51% attack, this mechanism relies on gaining control of 50% (or greater) of the network after which you have autonomy over rejecting or accepting transactions. This was one of the major concerns with Bitcoin since a group which controls more than 50% of the network effectively becomes the sole authority of the network. In 2014, the ghash.io pool briefly exceeded 50% of the mining power of the Bitcoin network. It’s not as safe as you think. Race attack is a sneaky one wherein an attacker sends a transaction to a merchant while sending a conflicting transaction to the rest of the pool. There’s a greater likelihood of the conflicting transaction being accepted onto the ledger, thus, nullifying whatever was to be given to the merchant. Then there’s the Finney attack method which works in a similar manner. To get more creative, hackers have combined the aforementioned attacks to achieve better results. While we used Bitcoins as an example here, these attacks are applicable to any application of a distributed ledger technology such as blockchain. As the application of distributed ledger technologies (DLT) spreads to more domains, there will be more such vectors that are yet to be discovered. This is true for all new technologies, which is why we should devote more time to analysing DLT before building critical systems with it. Blockchain, in theory, is certainly a distributed system and we all know that if an entity should gain control of more than 50% of the network, then they gain the ability to double-spend. So keeping it decentralised is a way to prevent this exact thing from happening. However, in the real world, this is certainly not the case. Take Bitcoins for example, the entire network is made up of pools. Each pool consists of multiple miners numbering in the hundreds or thousands or even millions. It’s natural for people to come together as a pool because it makes it easy for people to mine and get paid on a regular basis. If not, then getting a block and then mining it till it is done, and then getting paid could take hundreds, if not thousand of years given the current level of difficulty. 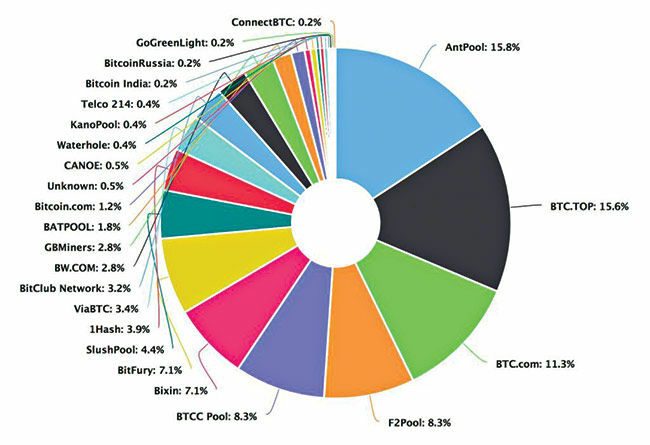 As it stands right now, the top four pools on the bitcoin network account for more than 50% of the entire network. Moreover, 81% of the miners are based out of China. In all probability, the Chinese government can easily assume control of the Bitcoin network if they wanted to. Most blockchain applications that are in use for cryptocurrencies rely on cryptographic hash algorithms. In simplespeak, that’s a lot of repetitive calculations. However, the wallets use asymmetric cryptography to commit and validate transactions. Right now, these are extremely secure because breaking an asymmetric key combination can take decades. Or should we say, one decade? This is because quantum computing is on the horizon. Technology giants such as Google have already demonstrated the prowess of quantum computing and they’ve been found to be over 100 million times faster than personal computers in certain applications. So if quantum computers were to become as prevalent as personal computers over the next decade, then these asymmetric cryptographic transactions will provide next to no protection. Nearly all cryptocurrencies in existence use Elliptical Curve Digital Signature Algorithm (ECDSA) and Elliptical Curve Diffie-Hellman key agreement (ECDH) for wallets. These are asymmetric algorithms which are easy for quantum computers to crack. Unless we come up with new algorithms within the next decade that are difficult for quantum computers to churn, then blockchain isn’t going to be as safe as it is right now. How about we ignore all the technical reasons and look at all the numerous projects that have adopted blockchain over the years. At the China International Big Data Industry Expo 2018, the director of China Academy of Information and Communications Technology (CAICT) said that of the 80,000 blockchain projects that were launched, only eight percent are still active. So 92% of all blockchain projects have failed and the average lifespan for these projects is 1.22 years. 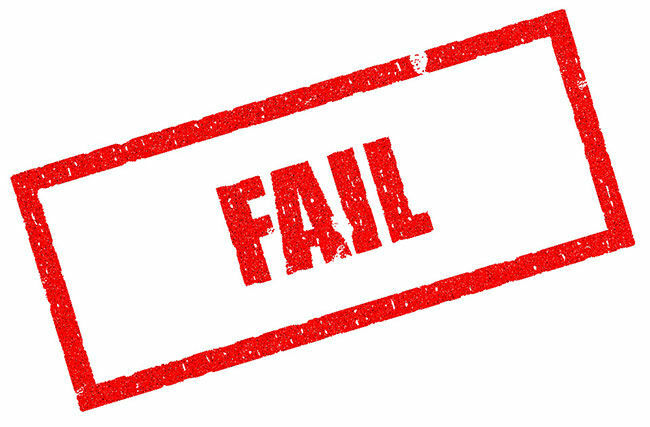 In a Harvard Business School study conducted last year, it was found that over 50% of startups fail after 5 years and over 70% fail after 10 years. So if blockchain related projects fail at the rate of 92% at the 1.22 year mark, then it isn’t as promising as purported. If you’ve got a startup idea around blockchain, we’d say that you should think it over before looking for investors. So, given how blockchain in its current form is certainly not the future, what other DLT can we pin our hopes on? It would appear that there are quite a few new technologies that have supposedly mitigated some of the key issues that blockchain had. Holochain is a company that offers a new form of DLT. It offers a scalable and efficient cryptocurrency pattern that does not require specialised hardware or consensus. It enables tracking and billions and trillions of interactions per second. Another contender in this space is the Hedera Hashgraph Platform. It also allows a lot more transactions per second as compared to the Blockchain. Hedera requires consensus so it has some of the inherent flaws of the blockchain DLT in it. However, it uses a verification software that can run on the GPU (graphics processing unit) so it’s faster than CPU bound algorithms. With blockchain, there’s the issue of a few pools controlling more than 50% of the network and then there’s the lack of a governing authority. Hedera plans to address these two issues by separating them from each other. Hedera’s consensus model ensures that the network will expand to many millions of nodes so that the network remains highly distributed. Also, it has a framework that allows you to bind identities to cryptocurrency wallets. In a way, Hedera does away with one of the most sought after features of blockchain i.e. anonymity. These are just two of the many new DLT that have surfaced over the last year. Hopefully, one of them will gain the same notoriety as blockchain.